Premier Is Not Just Our Name, It's Our Promise to You! Premier Real Estate School of Tampa is committed to providing you with the best real estate school experience possible. Premier classes are taught by top level, experienced instructors who will provide you with the tools needed to succeed in the classroom and in the field. Class size is limited to 20 students per class, and classes are conducted in a state of the art, clean, comfortable and professional classroom. The curriculum consists of the latest FREC-approved licensing courses. Books and course materials are included in the price of the course. Satisfaction is guaranteed, and Premier offers a 1 year Retake Guarantee and 1 year of Instructor Support. Your Successful Future in Real Estate Starts Here! The Premier Real Estate School in Tampa, Florida is prepared to set you up immediately for success. The first step to ensuring every student who enrolls in our Tampa real estate school or our online real estate license school succeeds is to offer impeccable instruction geared towards men and women seeking to become leading real estate professionals. Outdated information taught by once upon a time real estate professionals, which is common among other online real estate license schools, will only lead to hardship once you enter the field and realize you are unprepared. Premier offers a quality Tampa real estate education, whether classroom based or as an online real estate school. With Premier, either course will propel you to a rewarding career, so enroll now to earn your real estate license the way you want! Read more customer reviews by clicking right here! The Premier Difference is Clear – Your Career is our Business! Does the school limit class size and, if so, why? Yes, unlike other area real estate schools, Premier limits the class size to 20 students. Smaller class sizes benefit students because they have more opportunities to ask questions, contribute to discussions and get to know their instructors. Another benefit of smaller classing is getting to know your classmates, who will ultimately become colleagues in the near future. How is the classroom furnished and equipped? Our classroom is furnished with brand new walnut desks, mesh-back chairs and a 60" flat screen TV. Are refreshments and snacks provided and included in the price? Yes, Premier provides snacks to keep you energized and also provides several types of Joffrey’s coffee as well as a Hot/Cold water dispenser and ice maker. A microwave and refrigerator is also available for student use. Does the school provide all the materials needed and is it included in the price? Yes, all the book and materials are provided and included in the price. Students will also receive a complimentary tote bag and #2 pencils. Does the instructor have current real estate sale experience? Yes, our instructors are current, active brokers with a minimum of 5 years’ experience in various areas of real estate. Does the school offer a satisfaction and retake guarantee? 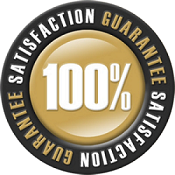 Yes, please check our 90 Day 100% Satisfaction Guarantee and 1 year Retake Guarantee. We proudly serve all of the greater Tampa Bay region including South Tampa, New Tampa, Lutz, Wesley Chapel, Land O Lakes, Brandon, Riverview, Clearwater, St. Petersburg and everywhere in between!